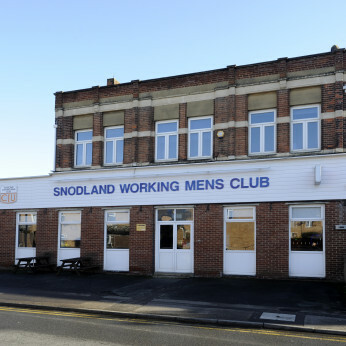 Traditional Working Men's Club, based in the heart of Snodland. Members only Club, but all welcome to join, apply inside for membership or come and visit with an existing member! We operate a large bar area featuring multiple top of the range Digital TV's offering the full range of Sky Sports packages, able to show multiple sports shows at the same time. We serve a variety of beers, ales and ciders with a steady rotation of ales on offer at the bar, all of our drinks are affordably priced for the benefit of our members. As we're a working men's club we have a membership policy to ensure the price of our drinks stays low. Our policy is a yearly membership costing £18.50 for guaranteed access to the pub for the year, apply inside for details on membership and how to apply. In the back we have a large function room with stage facilities perfect for a DJ or music act, we can host your parties for a small hiring fee and refundable deposit and guarantee you a great night, with a homely atmosphere and proactive staff. The pub has a variety of pub sports available and we operate regular competitive matches with a variety of mixed and gendered teams across snooker, darts, pool as well as fishing. As a pub we're proud of our roots and proud of where we have come and so we strive for it to be the best possible experience for us and for all of our patrons. Why don't you come and a take a look? Live music at Snodland Working Men's club! Tickets available to purchase now from inside the club to members and non members! Non members permitted to the event with a ticket!